Years ago, I took the kids to the Legoland Hotel & Resort in Carlsbad, California and although we loved Legoland itself the hotel left a lot to be desired. I wasn’t sure we would return to Carlsbad to visit but this year we decided to give it another go. Instead of just seeing Legoland, we explored the beautiful beaches, found great restaurants, and spent time paddleboarding and surfing. We also tried out the Hilton Garden Inn Carlsbad Beach Hotel which is not only one of the best hotels near Legoland California, it is THE best. Here’s why. Right off the bat, the Hilton Garden Inn impresses. 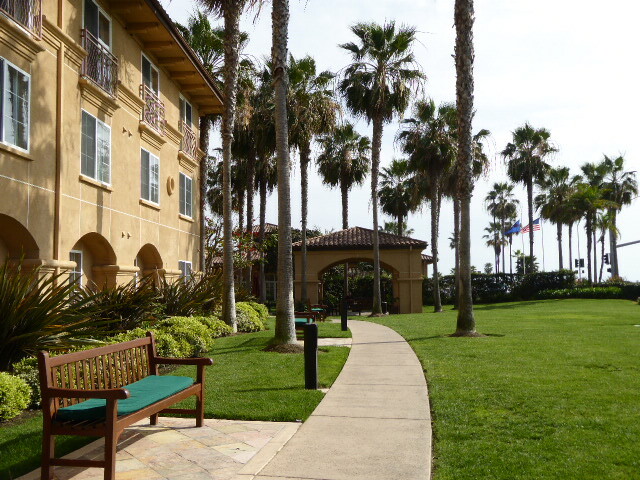 The hotel is directly across from the ocean and has a huge yard perfect for families. The interior is clean and you can tell its been recently renovated. From the moment we arrived the staff was not only welcoming but kind and attentive. As I was checking in, the kids sat down in the lobby and were provided with the Hilton Garden Inn’s signature snack which is a delicious mix of muffin and cookie. The room itself was large and overlooked the water. Again it was spotless and had a small kitchenette area with fridge, microwave and coffee maker making it perfect for families looking for the best hotels near Legoland California or a stay at the beach. As a mom of two energy filled kids, I find a hotel is only as good as its pool area. 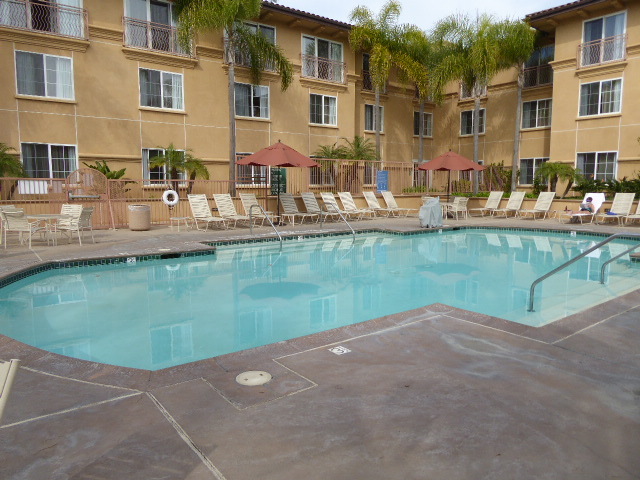 The outdoor yard and pool at the Hilton Garden Inn Carlsbad is incredible. 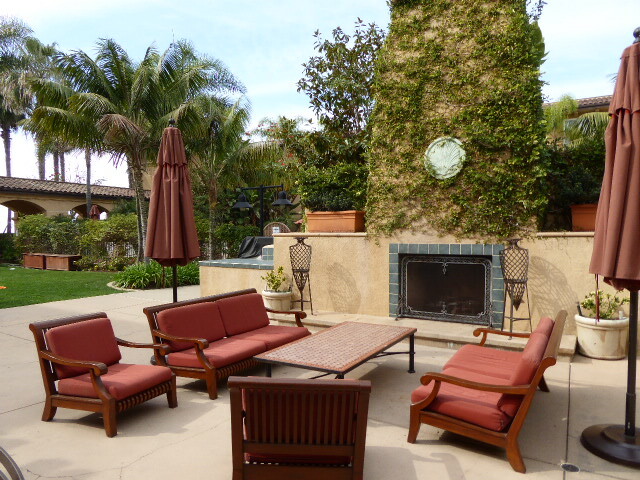 There is a large fireplace with ample seating, ping pong tables and lawn games and well as the sizeable pool itself. My favourite part was that I could supervise my kids while sitting in the hot tub due to the proximity and direct line of sight. The ocean is right across the street from the pool and there is a stop light for safe crossing. On an early morning walk, we were lucky enough to even meet some of the local seals who were sunbathing on the beach. During the summer, the Hilton Garden Inn offers special activities for families headed to Legoland. They have a large space in which they lay out blankets and invite families to watch projected movies that tie into Legoland like Star Wars and the Lego Movie. Besides essentially being on the ocean, the Hilton Garden Inn Carlsbad is also only a 7 minute drive to Legoland. Even better is that the hotel offers a complimentary shuttle program and will drive you to Legoland saving you the stress of finding it and parking fees. Near the hotel there are a number of adorable stores and shops as well as huge parks down on the beach in Carlsbad Village. 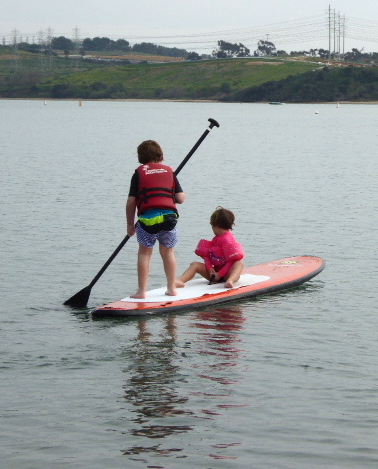 From the hotel, we loved going to Carlsbad Lagoon which is a very safe and fun place to try paddleboarding with your kids as well as rent jet skis and go tubing. All of these locations are included in the shuttle service and the hotel will also pick you up when your ready to head back to the Hilton Garden Inn. The restaurant onsite at the hotel is the Carlsbad Beach Bistro. It looks like a small cafe area but the food is surprisingly good. The kids enjoyed healthy options off the kids meals while I indulged in wine and a great salad. If you stay on site, make sure not to miss the breakfast buffet. The chef takes orders from behind the grill and makes incredible pancakes, omelettes and fresh eggs. The hotel offers a Bed N Breakfast deal that includes breakfast for 4. If you would like a fancier meal with an even better view, the hotel will also drive you to its sister property the Hilton Carlsbad which has an incredible onsite restaurant and patio perfect for watching the sun set. After staying at numerous properties near Legoland, I found that the Hilton Garden Inn was the best option for families headed to Legoland. The hotel staff is accommodating to families and there is plenty to do that will keep your kids happy and entertained. As much as I recommend staying on site at Disneyland, the situation is very different for Legoland. The park closes earlier than Disneyland for most of the year and there are not nightly fireworks or closing shows. Also, hotel guests are only let in to the park 30 minutes before the park opens to regular guests and are only able to access a small section with about 4 rides. The Legoland Hotel is also quite pricey and very chaotic. Instead, I recommend booking into the Hilton Garden Inn which has all your family will require for a great Legoland vacation and more. If your kids can’t bear not to see the Legoland Hotel, book in for one night and then move to the Hilton Garden Inn. As I said at the beginning, I didn’t understand the beauty and uniqueness of Carlsbad until I visited for a second time and got to experience Carlsbad Village, the beach and the Carlsbad Lagoon for myself. I realized during this visit that Carlsbad was much more than a pile of toy bricks (albeit very fun toy bricks). Be sure to check out Legoland but leave some time for various other activities and to explore the lesser known and incredibly beautiful aspects of Carlsbad.